In the field of Information Technology, backup refers to the copying of data so that it may be restored after a data loss event. Backups are useful primarily for two purposes: to restore a computer to an operational state following a disaster (called Disaster Recovery) and to restore small numbers of files after they have been accidentally deleted or corrupted. Since Backup Systems contain at least one copy of all data worth saving, the data storage requirements are considerable. Organizing this storage space and managing the backup process can become a complicated undertaking. LV.Net manages your enterprise Backup and Recovery process as a fully automated service from its Network Operations Center (NOC) in Las Vegas, Nevada. With LV.Net Backup and Recovery, you save time and money while having ensuring your data is secure in the event of catastrophe. No worries about servers, software, off-site storage, security, or manpower. Continuous backup of your data is performed automatically and then encrypted, transmitted and stored in the secure LV.Net Network Facility. Data backup and encryption are performed simultaneously before and during storage. Decryption can only occur at the backup site upon recovery. Off-Site backup can be performed from any location with an Internet connection. 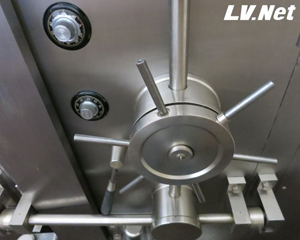 Disaster Recovery Processes are monitored around-the-clock by LV.Net Network Operations Specialists in Las Vegas.